Some people might say that getting a gift for your little girl is easy. After all, there’s a lot of toys available for you to buy. But numerous choices can be a problem on their own. You can easily get lost and confused with all the dolls, cooking sets, and princess toys available today. Review: Not every girl toy needs to be frilly and pink. 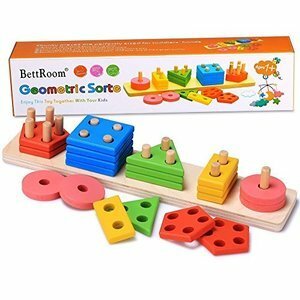 Your little girl can also appreciate the hard challenge of sorting out shapes and colors! Keep your precious one busy with this amazingly designed puzzle. You can encourage her to exercise her counting skills as well as her color and shape recognition. Her hand-eye coordination can also be improved while playing with this toy. It’s fun and it’s useful, a great combo all in all. 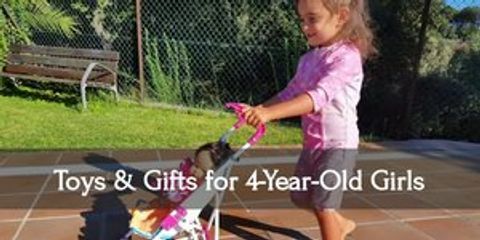 Review: Another amazing set that will help further your little girl’s skills! 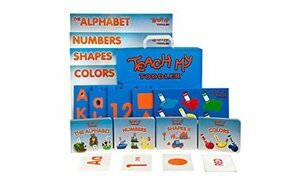 This set has over 68 pieces that all help your kid learn her ABCs, 123s, shapes, and colors. It also makes for a good bonding time since you will need to guide her every step of the way. Look through posters, read board books, play puzzles and flashcards together. True, it might not seem like a toy to some people but I can’t fault this set at all. Using it provides enough fun and a whole lot of learning! Review: Little girls also love to zoom around, you know. 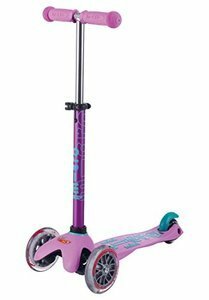 Keep your baby girl active with this awesome mini scooter. Review: Pretend play is awesome, but if you can provide your kid’s imagination with more help, why not? This kitchen set will definitely keep her happy for months to come! Honestly, I would’ve wanted something like this when I was younger. I still do now that I’m a mom myself. 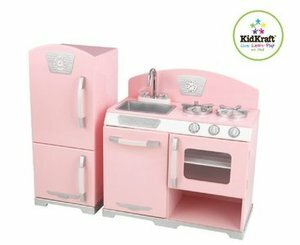 This wooden kitchen set is the perfect size for your toddler and is huge enough that her friends or siblings can play alongside her as well. It has its own dishwasher, oven, and refrigerator! It even has working knobs. Really, it’s a little girl’s dream come true! Review: Hear ye! Hear ye! The little princess hath arrived in thy magnificent horse and carriage! If there’s one thing that can surpass the retro kitchen play set above, it’s probably this one. 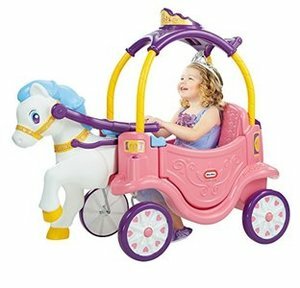 Indulge your little princess with a ride beyond her wildest dreams. You can choose to push your little girl and keep the floor board intact, or take off the floor board so that she can drive herself around. Really, this versatile ride on is easy on the eyes. Your little girl will truly, truly, truly love this! Review: There are lots of doll houses in the market that you can buy. But there’s something special just looking at this one from Fisher-Price. It has three amazing stories complete with different rooms. Your little one’s dolls can even walk through the front door! 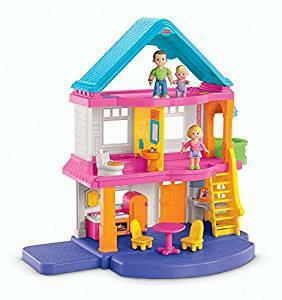 The open concept of this doll house makes playing super easy as well. Plus, you can see the stories that she comes up with as she imitates her everyday life. You’ll never be bored with her antics, just saying. Review: Want your little girl to learn to like chores? Well, why not give her a miniature broom set! 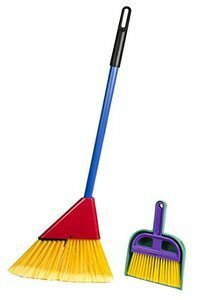 This set has a broom, a dust pan, and hand brush; all brightly colored to keep your little one interested and engaged. When you’re cleaning around the house, your baby girl can also pick up her broom and help you sweep away the mess. It may not seem like much but let me tell you, your baby will surely feel more grown up when helping you (and you can also clean in peace!). Review: Red wagons and whatnot may be classics, but why not go a bit further than that? 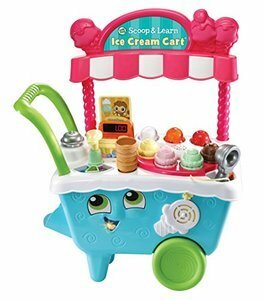 This awesome ice cream cart is made of sweet dreams! Aside from pushing the cart and feeling like an ice cream vendor, your little girl’s memory skills can also be enhanced. There are lots of different colors and flavors of ice cream to choose from! The car also has cool syrup pump and coin button. Not to mention it plays danceable songs. Even I’m getting excited thinking about it. Review: Boys aren’t the only ones who like moving toys. 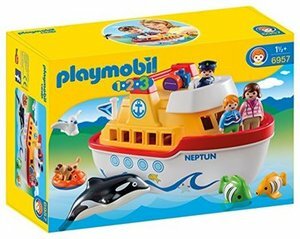 Get your little girl this awesome ship complete with human and animal figures. Everyone can come along for a cruise. You can even unsnap the deck latch so your baby girl can play with the interior of the sip. It’s super lightweight and convenient that you can even take it along wherever you go! Review: If you want to stick with the classics, this Stella doll is a great way to teach your baby girl some nurturing skills. The doll itself is soft all over and would not hurt her while playing. Stella comes in a two-piece outfit that your little girl can take on and off as well as a removable diaper and magnetic pacifier. It’s like taking care of a baby of her own! Your little girl’s imagination is just starting to develop. Role playing games can help keep her curious about her surroundings, and this in turn can help further nurture her budding skills. 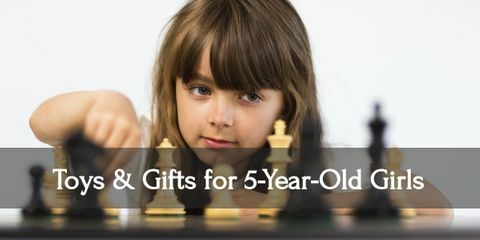 Help keep your daughter’s imagination alive with toys! 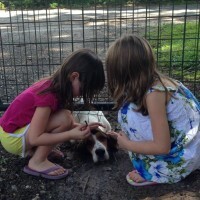 They can really help keep her well entertained and willing to learn after all. 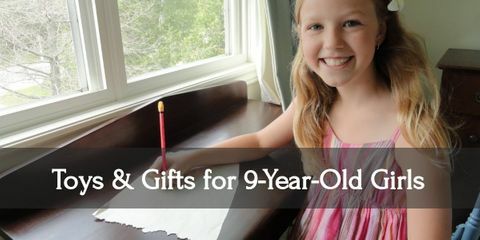 Put a smile on your nine year old girl’s face with this incredible presents!